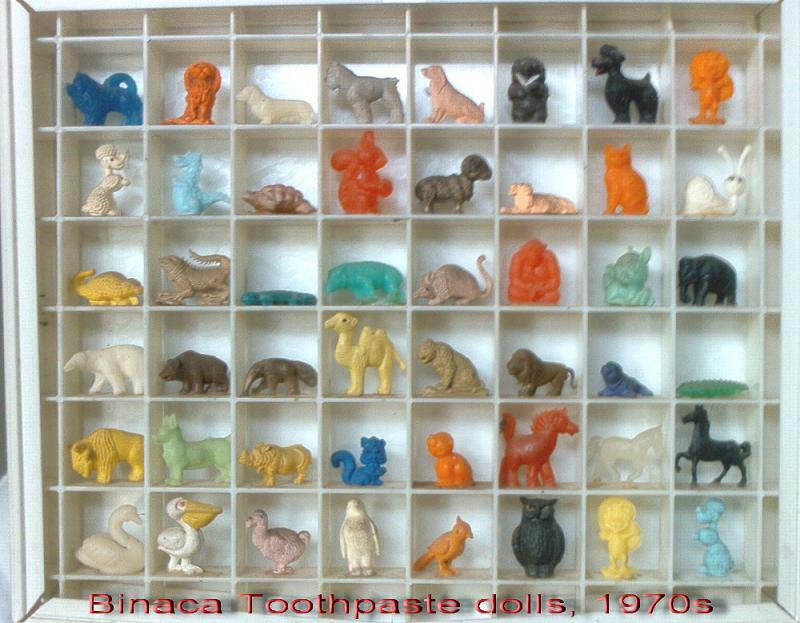 Keeping up with the subject of toys, I am reminded (by a friend) of Binaca toothpaste being the numero uno choice in India in the seventies because it had a li'l toy inside the pack, that everyone waited for, and coveted. Wonder why the toy disappeared as did Binaca? of course, Binaca (acquired by Dabur) did operate in near monopoly then. Despite its failure, the Binaca story teaches us two things. One, to get a toothpaste into a home, repetitive commercials on TV isn't the only way to go. Neither are price-off promos. A promo like a toy can surely help. 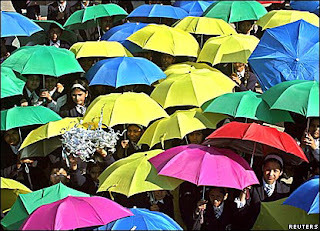 Two, a choice of brand at home can be dictated by a choice made by children. I mean, a family goes Binaca because the child at home covets the toy inside, and therefore makes sure the brand peddling it, comes home. The Binaca toys are remembered by almost all I've spoken to. Maddy and Dinakar mention it on their blogs. I've borrowed Dinakar's Binaca Toothpaste doll collection (picture) to be featured here.